Our high-quality desk, with a large tabletop, enables you to put a lamp or a laptop on the desk when still having plenty of space to work. Thanks to its compact design, our desk occupies very little space and fits into smaller areas. Two drawers provide storage space for smaller items such as notebooks, pens and other stationery. In addition, this desk can also serve as a perfect computer desk. 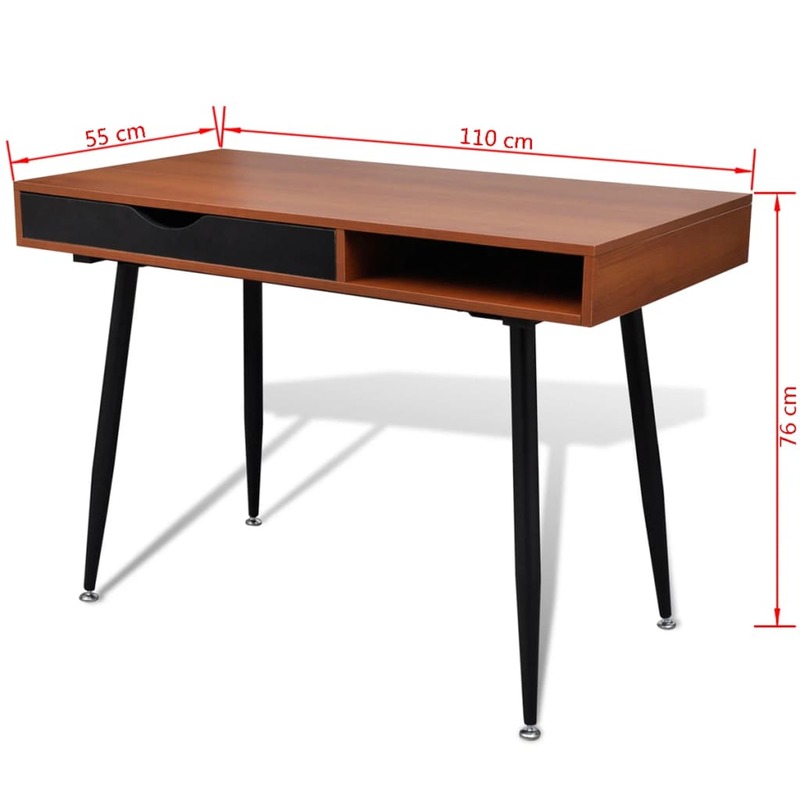 The desk is constructed from high quality MDF and supported by powder coated steel legs for durability, which will surely serve you many years.